In this week’s flight deck we bring you all the headlines from simulated space including the latest news from Elite Dangerous, Star Citizen, and X4. Next, we’ll get the news from the deep black with Spencer McDunn on Galactic Public Radio. After that we continue our audio adventure, Guard Frequency Origins, where there are some dice rolls and possibly people doing things and stuff. Finally, we open up the feedback loop and let you join in on the fun. For everyone but Clown Bobo, what was the highlight of Citizen Con? I feel for Geoff, the Star Citizen love is weak with this crowd. I expect a fair shake for Cit Con the next show, guys! You just could not resist the temptation to shoot something could you? As for Chen, she may be an idiot, but obviously she can cook. Jeff needs to use that feedback voice more often. SIR: Apologies for any confusion caused by our field correspondent’s failure to adhere to accepted policy convention. In revision 2946.10.09b of the BoboCo Morningstar Picayune Grammar & Style Guide (section 6.32, pp. 189-90), it is clearly stated that use of CamelCase for all hashtags is mandatory, not optional. * Dr. Pangloss was the pedantic old tutor in Voltaire’s satirical novel Candide. Pangloss was an incurable, albeit misguided, optimist who claimed that “all is for the best in this best of all possible worlds.” So persistent was he in his optimism that he kept it even after witnessing and experiencing great cruelty and suffering. Had Dr. Pangloss lived in the 30th century, he most certainly would have been a satisfied Star Citizen backer. The hi-lite of Cit-Con was the in game mission for the experimental blade and having the Valkyrie show up to provide CAS. then the rest of that play-through. Seeing the Cyclone drive out of the drop ship while in flight and it surviving the fall gave me mixed emotions. Second, was the updated SQ42 trailer. I’m glad they didn’t put a release date on it this time. It was s good show and I’m glad I didn’t buy a ticket for it. I await KinShadow’s review. Open PTU for all!!! Oh no wait never mind. I thought that subbing wasn’t meant to get special perks? Or PTU was meant for bug smashing. Guess I’ll now pay $10 a month for early access or $1000 on a ship, I mean did have an alpha pass but they got rid of that, then there was all that bug smashing I did to get to wave 1 PTU. I enjoyed it all but I’m getting sick of CIG singling out special types of citizens when they said all of us where meant to be treated like equals. Evocati I can excuse but I’m not bug smashing anymore. 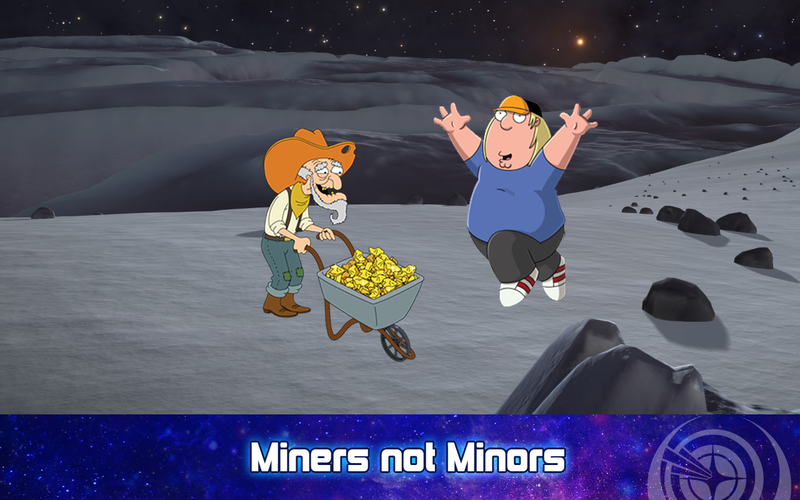 If you guy want me I’ll be in Elite mining sodium chloride.